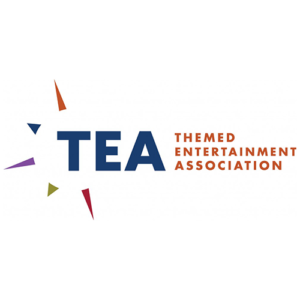 As a proud member of the Themed Entertainment Association (TEA), we abide by the Code of Conduct established by the TEA. The Themed Entertainment Association (TEA) has adopted the Code of Conduct defined in this document to provide standards for the professional and ethical conduct of TEA members, and to foster respect for the integrity, expertise and reliability of all TEA members. The TEA is dedicated to promoting the principles of honesty, integrity, fair dealing, and professionalism in the industry. The TEA Code of Conduct was developed as a standard for professional conduct among the members of the Association. This Code of Conduct describes the expectations that we have of ourselves and our fellow professionals. Rather than imposing mandates the Code articulates the ideals to which we aspire. The purpose of this Code is not to establish a disciplinary mechanism, but, rather, to instill confidence in the profession and to help an individual become a better professional. The Code Articles further define the expectations of the members of the Association to maintain the highest level of conduct and responsibility in their relationship with other members and throughout the industry as a standard for professional conduct and fair business practice. To conduct business in a professional and safe manner. To make a good faith effort to address and resolve all complaints made against them. To conduct business based on the highest levels of integrity and honesty so that the work brings credit to the profession and to the TEA. To present past credits, projects, products and services honestly without misrepresentation. To foster and maintain a spirit of cooperation and fair dealing with clients and vendors, maintaining the principles of confidentiality, intellectual property protection, and agreed contractual terms. To participate in the sharing of experience, expertise and skills with our industry while respecting the proprietary knowledge and skills, confidentiality of customers and professional associates. To support and honor the Association by taking a proactive role in Association activities and promoting the Association to the industry. To establish and maintain cordial and respectful relations with fellow members worldwide.